Smriti Irani, Amish Tripathi, Lord Meghnad Desai, Subramanian Swamy, Arnab Goswami, Raveena Tandon, Sonal Mansingh and many more to participate. 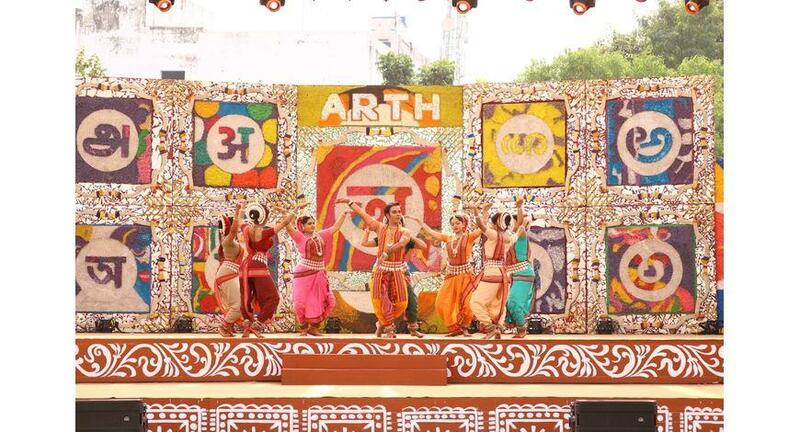 Arth – A Culture Fest, an Intellectual Property of ZEE LIVE, with an aim to understand and find meanings of the Indic civilization and discover its soul, is coming back with its second edition. This will be held at the lawns of the Indira Gandhi National Centre for the Arts (IGNCA) in New Delhi on 8th, 9th and 10th of February 2019. The first regional edition of this culture fest took place in Kolkata and the next regional edition of the festival is scheduled to take place in Pune. The National edition of Arth in New Delhi will witness the participation of more than 250+ scholars, writers, artists and artisans from across India and abroad. The cultural festival not only aims to celebrate the essence of Indic thought and philosophy, but also seeks to make it a journey of discovery for the audiences by bringing together a wide array of thinkers, scholars, philosophers, Indologists, artists, artisans, poets and authors. It will bring to the audience myriad activities including panel discussions, cultural performances, workshops, visual art installations, live art etc. Exclusive sessions have been curated for children, which will comprise creative workshops, theatre, history, philosophy, puppet performances and masterclasses. Among the prominent names from India who will be speaking at the festival are Union Minister Smriti Irani, Dr. Subramaniam Swamy, Arnab Goswami, Raveena Tandon, Bibek Debroy, Ashwin Sanghi, Amish Tripathi, Sonal Mansingh, Makarand Paranjpe, T.V. Mohandas Pai, Pavan K Varma, Gaur Gopal Das, Subhash Chandra, Ricky Kej, Sanjeev Sanyal, Syed Salman Chisty, Governor Tathagata Roy, Vivek Agnihotri, Swapan Dasgupta and others. The international contingent includes Karen Attiah (Global Opinions Editor of Washington Post); Domenic DiGiovanni (Homeland Security Department of USA); Tess Davis (Antiquities Coalition); Imam Tawhidi from Australia, Shimon Lev from Israel, Hasan Kerim Guc from Turkey, Indologists and scholars Vishwa Adluri, Vamsee Juluri, Subhash Kak, Prasenjit Basu, Lord Meghnad Desai, Carl W. Ernst, Lavanya Vemsani, Koenraad Elst, Rajiv Malhotra and David Frawley among others. There would also be a showcase of the rich arts and crafts of the country – Patua, Phad, Cherial, Madhubani, Patthachitra, Chittara, Warli, Kalamkari, Masks and Bamboo Crafts of North East India through workshops conducted in live counters and master classes every day. Sessions would be interspersed with some spell bounding performances by renowned artists such as Bombay Jayashree, Pandit Vishwa Mohan Bhatt, Teejan Bai, Bombay Bairag, Gautam Das Baul, Shahi Qawwals of Ajmer Sharif, a North East Percussion Ensemble, Manipuri Raas Leela, Gotipua Dance of Odisha, Puppetry from Kerala and Bengal and the Manganiyars of Rajasthan. The Delhi edition has been carefully designed keeping in mind the current scenario in the country and will see some really hard-hitting panel-discussions and talks on subjects that the nation has been discussing.